Hello Folks, Today I will demonstrate the method of integrating the PushSharp library in WCF Restful Web Service to send the Push Notifications to Apple, Android and Windows devices. 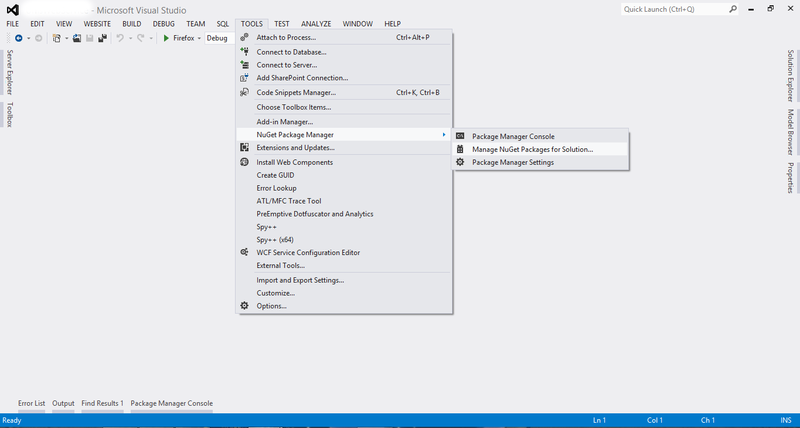 Create a new WCF web service in the Visual Studio(Here I am using Visual Studio 2012). 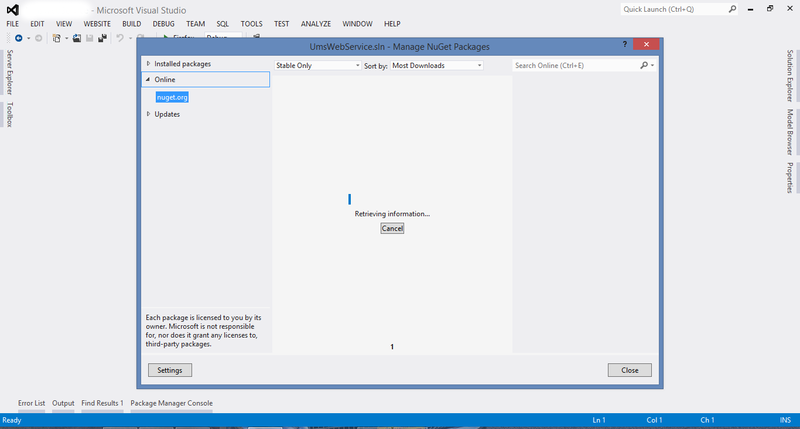 After creating the Web Service, Go to Tools-> NuGet Package Manager -> Manage NuGet Packages for Solution as shown in following image. 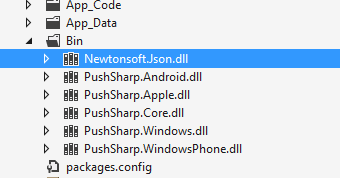 In the Package Manager, Search "PushSharp"
After installing PushSharp NuGet Package, following dlls will be added in the bin folder of the solution. Next are the lines of the code which are used to send the notifications from the web service. Please consider following is the minimalist code required to send notifications to devices. 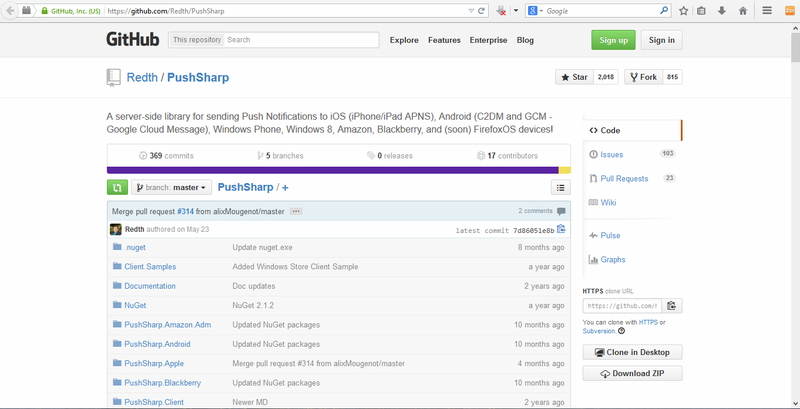 For additional functionality, please go through the samples given in the GitHub library of PushSharp. For Sending Push Notifications to the Android device. APIKey of the App can be obtained from the Google Developer Console. DeviceId of the device using the App. Message to be displayed in the Notification. For Sending Push Notifications to the iOS device. For implementing the iOS Notifications, a signed certificate is required to be generated from the Developer Console. That certificate is copied in the system and Path is given as in the method above. RegisterAppleService requires the certificate password. 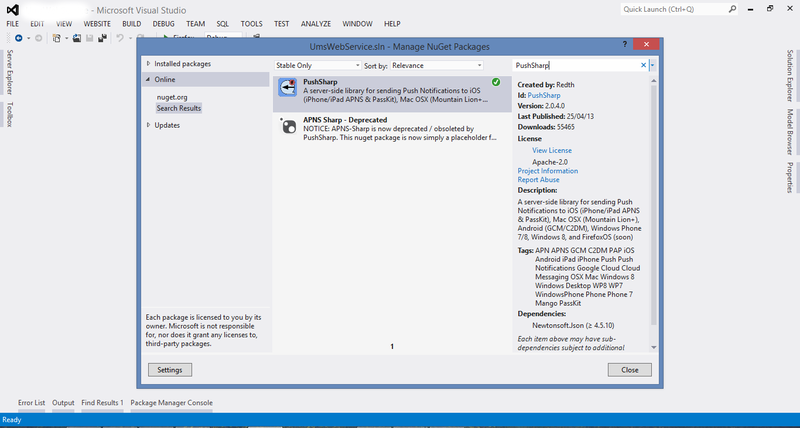 For Sending Push Notifications to the Windows phone. Above methods can also be combined into one method to send notification to all types of devices., also If notifications are to be sent to multiple devices of same OS, then a "for" loop can be traversed as per the requirement for each method.